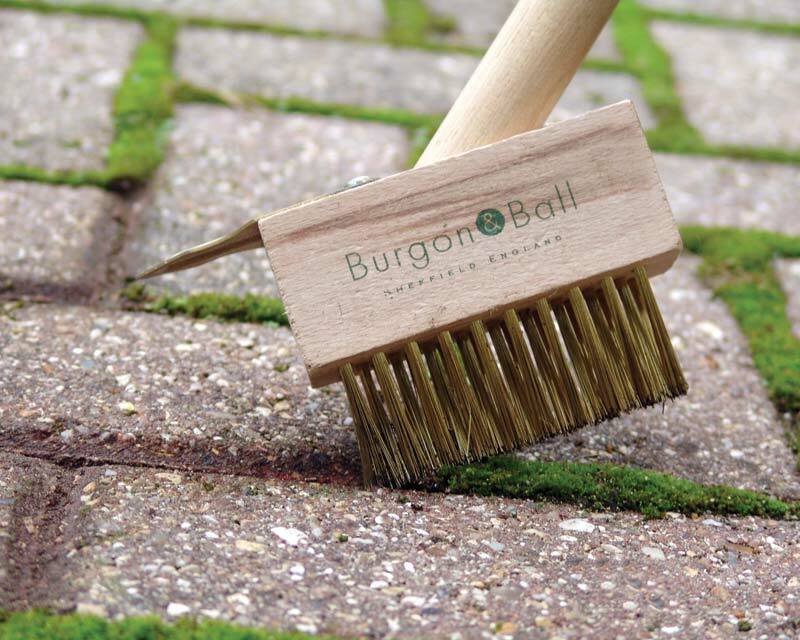 The Burgon & Ball Compact Miracle Block Paving Brush does 2 jobs with 1 tool! #2. 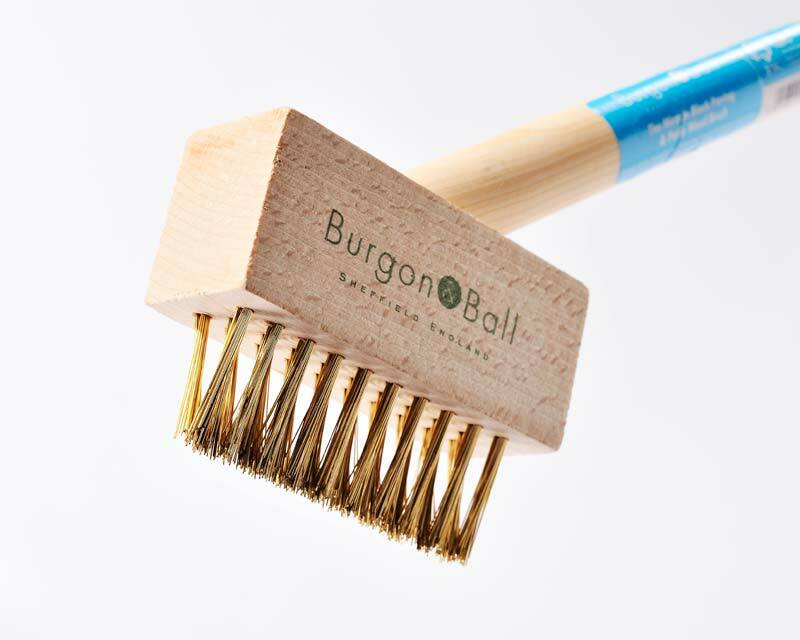 Prises out more established weeds with the attached weeding knife. 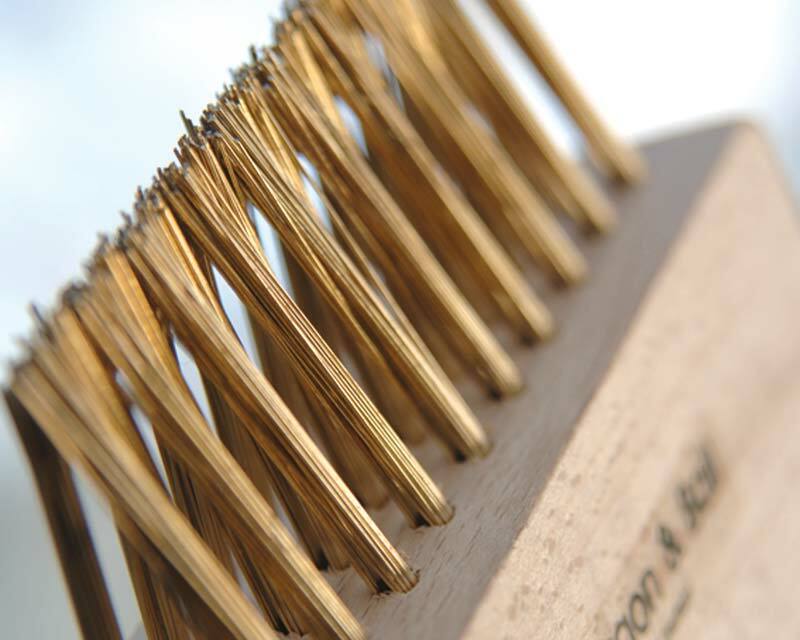 This unique and extremely useful hand tool features FSC hardwood head with 3 rows of converging, tough wire bristles, enabling extra-ordinary, targeted cleaning power.